I am happy to reveal my next book. I am starting to write it – therefore, it won’t be ready for some time. (The picture above is just because I like to be able to visualize it. So I did this not-very-good cover mock-up, but in reality I’m sure it will have a much nicer cover by a proper book-cover designer). Here is the (draft, work in progress) blurb. 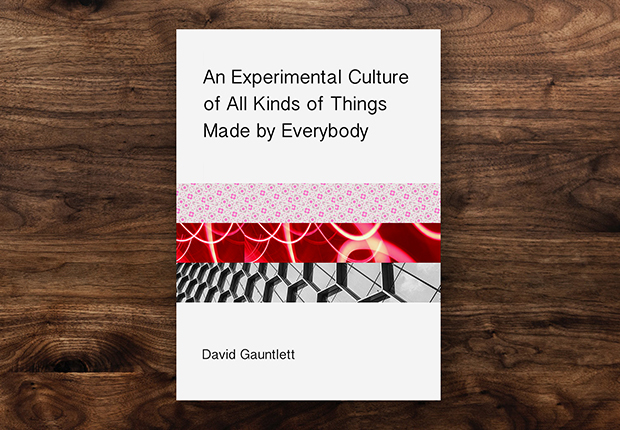 In Making is Connecting, David Gauntlett explored the social and cultural value of everyday creativity, and its integration with online culture. In the early years of the 21st century, craft and maker cultures were on the rise, and digital tools offered inspiring networks of creative practice. But by the end of the second decade, social media was associated with toxic behaviour — both between users, and as a business model. Optimistic culture seemed to be replaced by harassment and crude political populism. Things had turned bleak. In this new book, Gauntlett challenges us to examine this situation carefully, and to build upon some layers of hope. First, some parts of social media networks may be islands of poison, but the idea and potential of the internet remain a vast ocean. Second, everyday creativity takes many forms, is excitingly tactile, and does not depend on digital technologies. And third, our growing awareness of injustice and intimidation brings with it the passion to change things. Gauntlett highlights the power of inspiration, play and experimentation in culture, drawing on diverse inputs from music, sociology, digital culture, and original research. He argues that social change comes from small things as well as big movements, and from constructions of shared meaning and experience. The vision of an experimental culture of all kinds of things made by everybody can still be achieved. I only really count my academic progress in terms of books. There are other things that might seem to be milestones – projects, funding, reports, events, music, whatever – but, in my brain, they are not really. Books are the units of activity. So, it feels good to have the next one properly on the go.